You will love teaching this super cool rendition of "Tarantella Itsy Bitsy Spider". Your students will also love playing it. Folk Music, by definition, is the music of the people. It is simple enough that the average person can perform it and it reflects the lives and concerns of its people. Every culture has its own folk music; Music that has been handed down through generations and has endured the test of time. Intriguing and mysterious, folk music is rich with historical references and imagery. 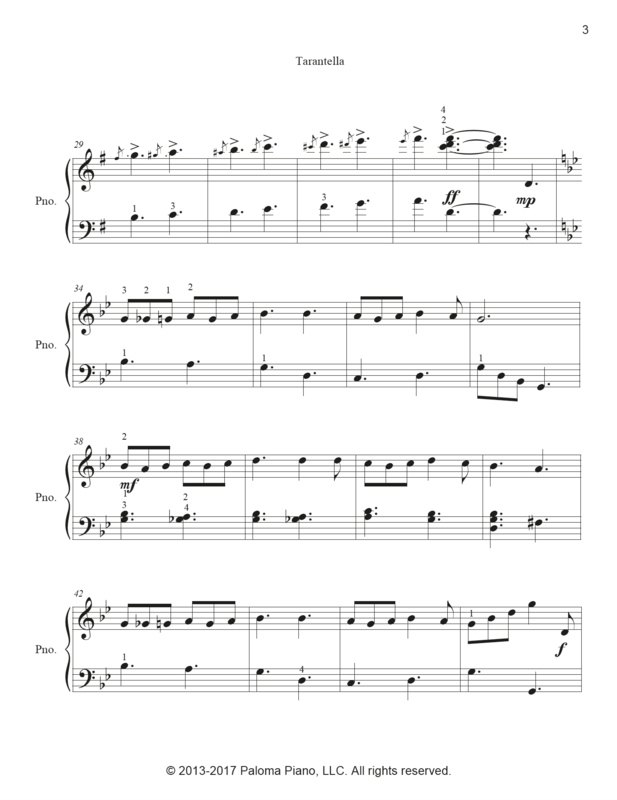 Though we rarely know who composed a particular song, there is almost always a story that goes along with it. We can learn so much about a historical period and the people of time by listening to the music. Read the post "Why Teach Music History"
Because of its singable, melodic lines and its basic harmonic structure, folk music lends itself to endless compositional and improvisational possibilities. Many (if not all) of the greatest composers were influenced by folk music. Most notably, Brahms who was fascinated with folk music and Bartok, who together with Zoltan Kodaly, tracked down and cataloged thousands of folksongs of Hungary and Romania. Folk music is wonderful in so many ways! I believe it is a treasure that should continue to be passed along to our children. 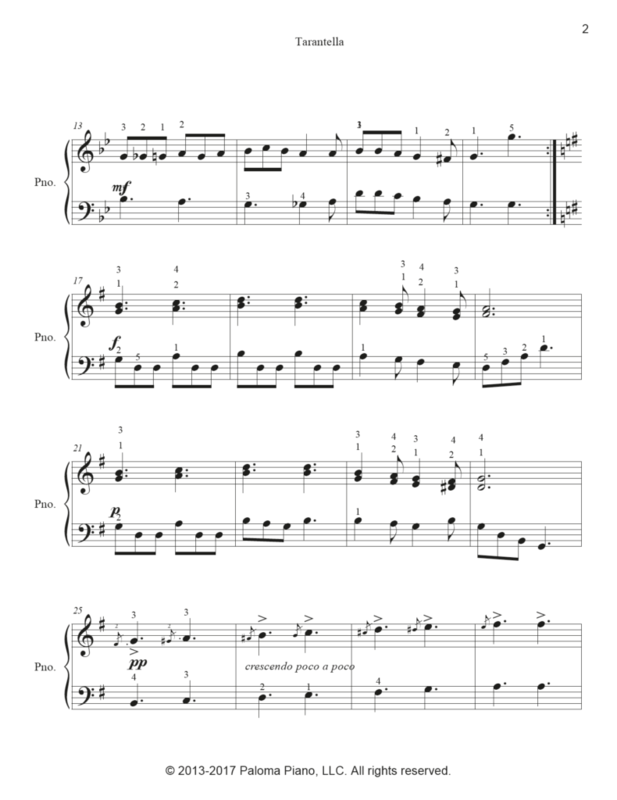 That is why you will find many arrangements os Folk songs like "Tarantella Itsy Bitsy Spider" as part of the Paloma Piano Collection. 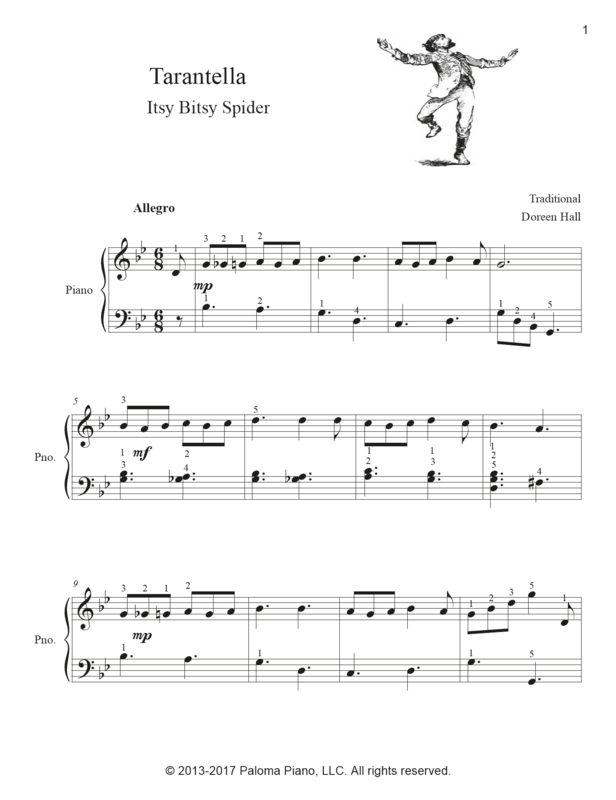 Listen to "Tarantella the Itsy Bitsy Spider"